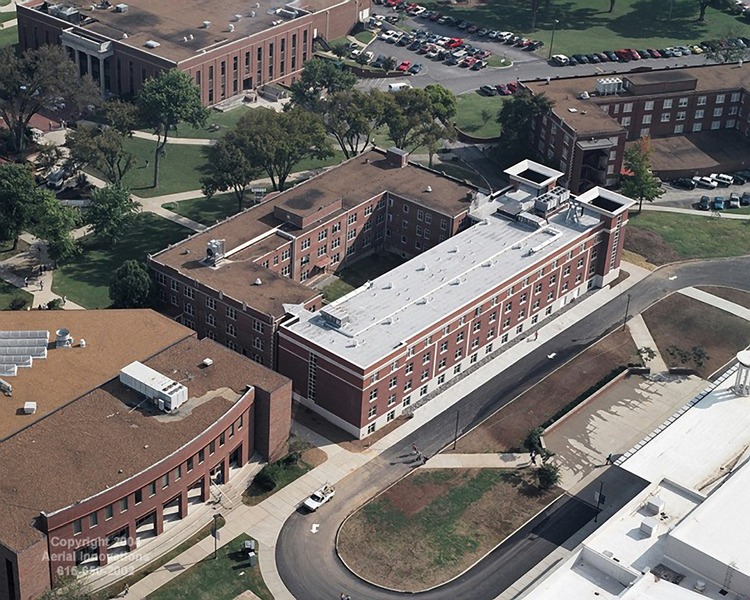 This is a four-story, 44,000 square foot dormitory addition. The new building is concrete framed, with drywall interior partitions, and an exterior brick veneer. The facility includes 86 dormitory rooms that house 148 students. It also includes student lounge areas, computer/study centers, and laundry facilities. The addition encloses the two wings of the existing facility completing a separate internal courtyard. The existing dormitory stairwells are upgraded, as well as the fire sprinkle system, and all windows replaced.